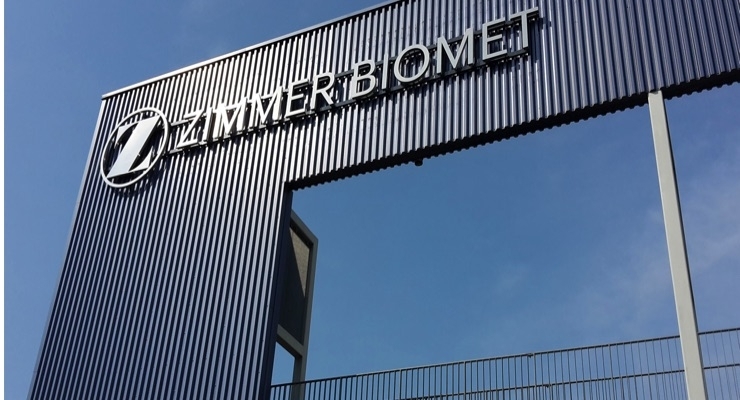 Zimmer Biomet Holdings, Inc., a global leader in musculoskeletal healthcare, announced it has received 510(k) clearance from the U.S. Food and Drug Administration (FDA) for its Zyston® Strut Open Titanium Interbody Spacer System. This marks Zimmer Biomet’s first titanium spinal implant manufactured via a 3D printing process. The Zyston Strut Open Titanium System is a family of lumbar cages designed to enhance the strength, graft capacity and visualization of the interbody spacer in spinal fusion cases. The cages will be available in a series of sizes to accommodate a range of patient anatomies and surgical approaches. The System also includes surgical instruments for insertion, manipulation and removal of the implants. More on the spinal implants and VCF market in the US can be found in a series of reports published by iData entitled the US Market Report Suite for Spinal Implants and VCF. This report covers the following market segments: traditional cervical and thoracolumbar fixation devices, interbody devices, motion preservation devices, vertebral compression fracture (VCF) treatment, and spinal instrumentation.